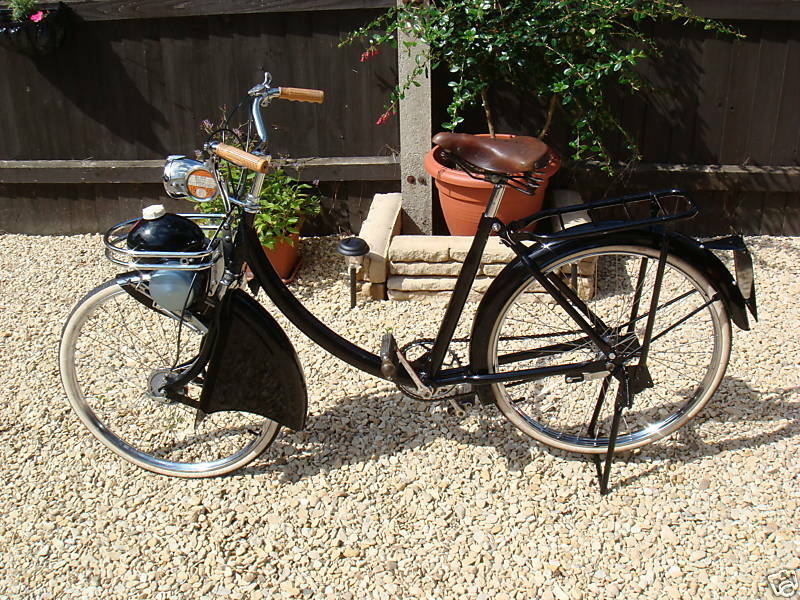 Affectionately known as the 'Little Egg' Berini was one of the top Dutch cyclemotor manufacturers. The company sold Cyclemasters under license for the Dutch market. The Berini M14 is a very well-made machine. It was exported to great Britain, and received good reports in the motoring press of the day. The Berini M13 was built in Rotterdam from 1949 to 1961. 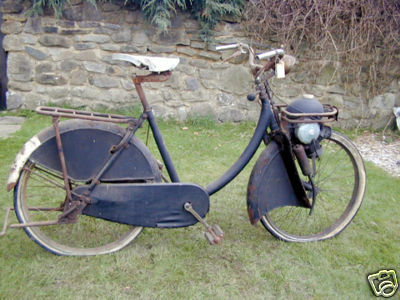 As it was developed from the Cyclemaster, engine size was initially 26cc, increased to 32cc in 1951 (the M14). In the Netherlands, it was known as "the Egg" because of the shape of the fuel-tank (designed by welding two headlamps together from a DKW motorcycle). 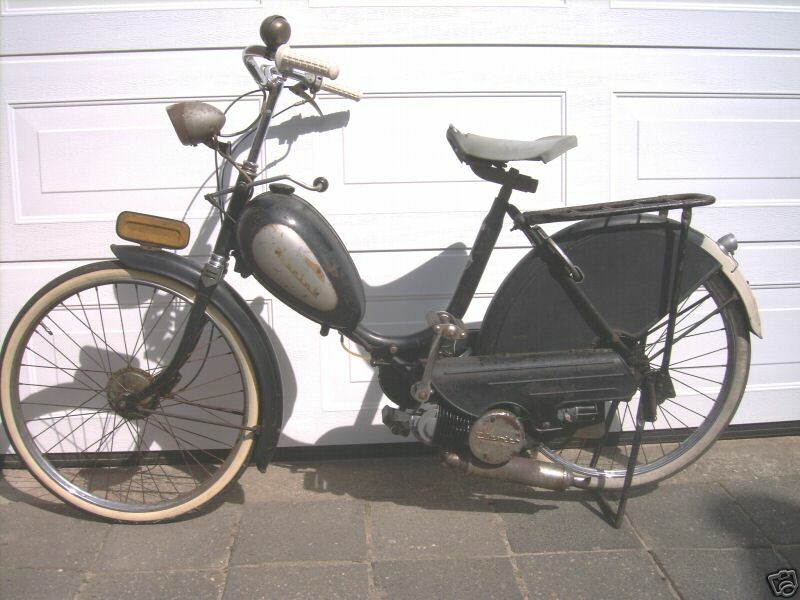 The Berini was the most popular Dutch bicycle engine and could reach up to 30 km/h. Free engine lever, roll driven 50cc rotating inlet valve timed for 40 kmu (can be altered). 1959 Berini M13 32cc, 1bhp. This bike is in top condition it is in fully working order apart from the headlamp which is on the bike but not connected, this bike has white walled tyres and refurbished rims with new spokes, chrome has been polished, and the bike has been proffesionally resprayed to its original colour, it is without doubt in showroom condition, but has had new cables and the brake cable just needs connecting.